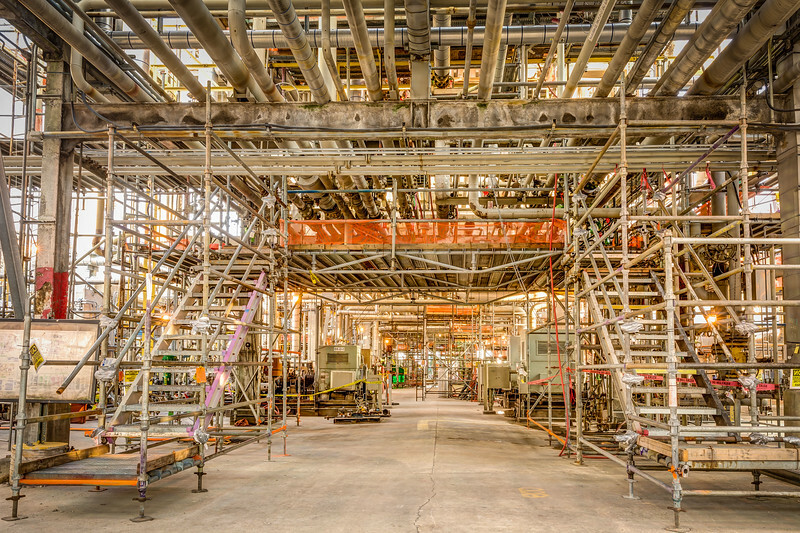 A Midwest refinery was implementing a reliability program, when, during a scheduled inspection on a critical unit, a deficiency was found under several of the main load-bearing beams supporting critical equipment. This was an emergency. After securing access to the entire unit for personnel, we set out to inspect and analyze the condition of the steel and fireproofing in the entire area. From that, we developed a step-by-step load-shifting process that didn’t impact the unit’s operations. The solution? We leveraged the main girder, which sat three levels below, to temporarily support the equipment and piping while we replaced the load-bearing beam. This accomplishment required a great understanding of rigging and construction techniques and tools in order to make the repair safe to install in an operating unit and highly constructible. While the Brindley Engineering team performed its inspections and repair designs, the unit had to remain active and operating. Our first concern: to protect the safety of all personnel and equipment. We worked to carefully alter the load path of several major pieces of critical equipment and piping in order to replace the load-bearing beam, including the complication of accounting for unexpected outages (if they were to occur) and how to accommodate the drastic changes in loads and dimensions of the piping and mechanical equipment due to thermal growth. Despite this being an emergency project with significant mechanical and structural complexity and being executed in an operating unit as soon as designs were completed, not a single revision or modification was needed throughout the entire project and the construction contractor was very pleased with the ease of construction.